Movie marketing for The Dark Knight Rises is well and truly underway. Honestly I think this is easily the best trailer they’ve released for the film yet. It builds hype, is exciting, full of action and still doesn’t really give any of the story away. This is what they should of released in May as the final official trailer and played in front of The Avengers. 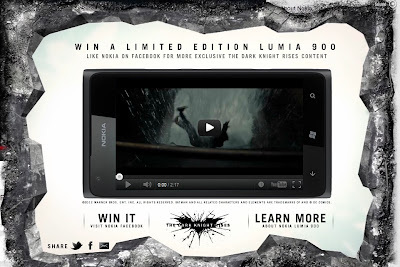 The video is currently an exclusive to Nokia, but I think Warner Bros would be stupid not to release this in cinemas! Personally, it may not sale more phones, but its sure building the anticipation even more the the film's release!